Nationally ranked no. 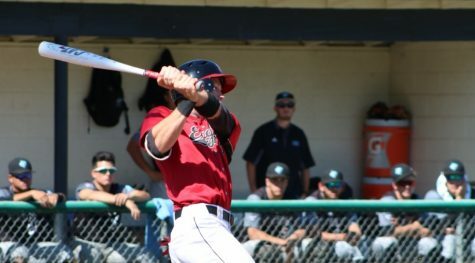 13 Azusa Pacific takes down Biola. It was a tough day for the Eagles as they took on the 3-0 Cougars of Azusa Pacific University at the Biola Tennis Center on Monday. 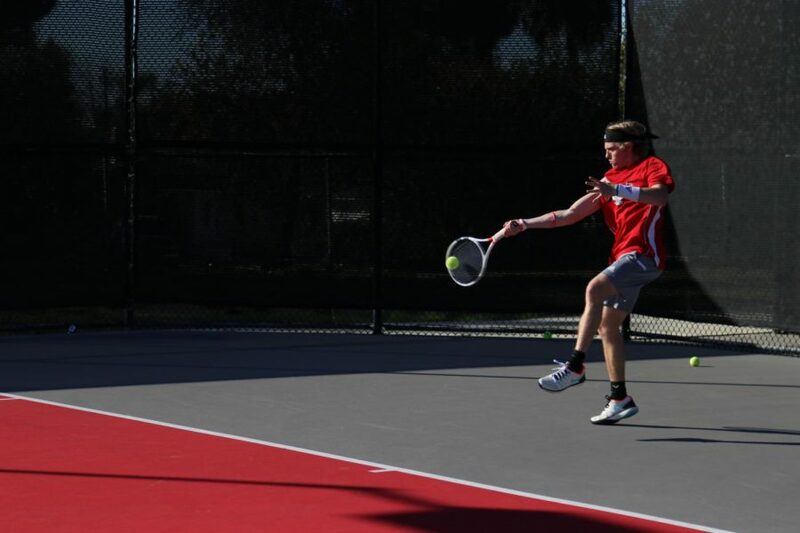 Biola’s men’s tennis team entered as heavy underdogs to their longtime rivals and APU came out on top, 5-0. 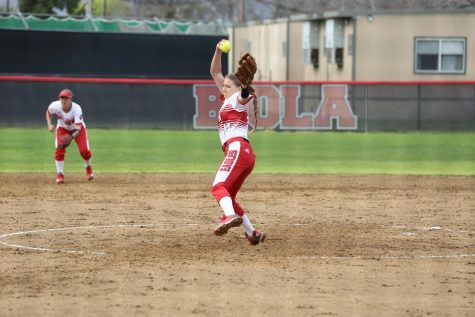 The competition started with a quick consistent series of doubles losses for Biola. Sophomores Logan Blair and Quentin Lau took on the no. 1 doubles team but fell short 6-3. Senior David Garcia and freshman Edwin Ramos also took a 6-3 loss. Juniors Erik Martinez and Derek James, the final doubles pair from Biola, was also overtaken by APU, 6-3. The Eagles had an emotional day, and it showed through frustration on the courts due to the competitive nature of both teams. Blair took on APU’s no. 2 player in his singles match which ended early due to forfeit, resulting in a 6-1 loss, his first singles loss of the season. 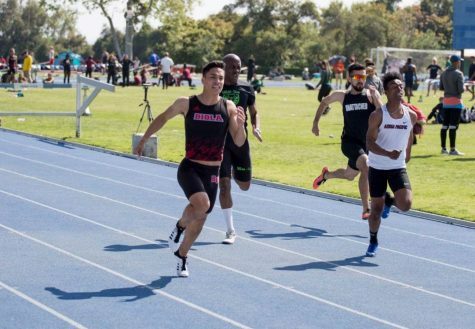 Freshman Andres Meneses fell short in the no. 4 spot 6-2, 6-0. Ramos was the next Eagle to finish his singles match but also missed the mark, losing 6-2, 6-2. 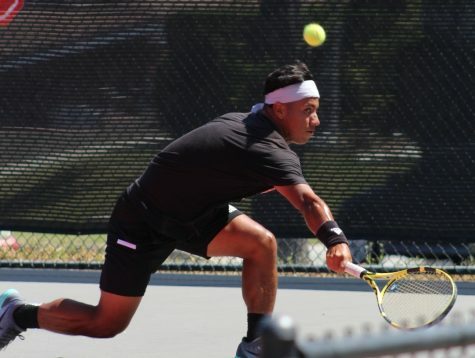 Martinez was able to pull out a win in the first set of his match against APU’s Jesse Haas, but ultimately followed the trend of his teammates, losing 2-6, 6-1,10-6. “I need to try and stay focused on the match. I think after the first set I was so caught up on trying to finish it out for the boys rather than taking it one ball at a time. 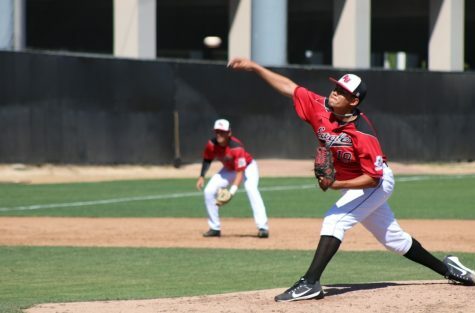 I just got ahead of myself,” Martinez said. James and Garcia had their games called due to a new rule that terminates games still in progress when a team is ahead three singles wins to none. The Eagles (1-2) will seek to redeem themselves at home on Wednesday at 2 p.m. against Concordia University.